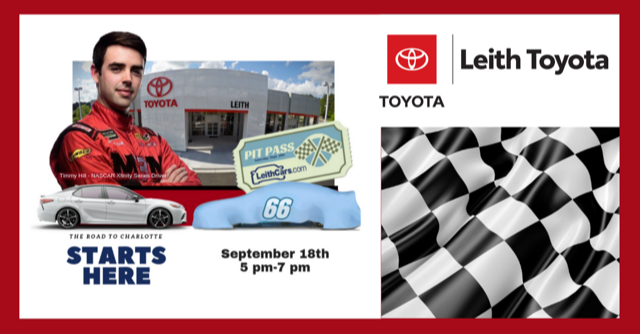 Join us at Leith Toyota, 8005 Capital Blvd., Raleigh on Tuesday, September 18th from 5 pm – 7 pm to meet & greet NASCAR Xfinity Series Driver, Timmy Hill and see the unveiling of the LeithCars.com #66 Toyota Camry race car. 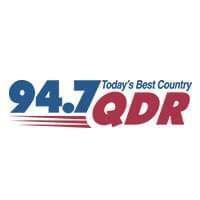 You’ll also have a chance to score a pair of exclusive access Pit Passes to Charlotte Motor Speedway to see Timmy race on Saturday, September 29th in the Drive for the Cure 200 on the brand new #ROVAL race course. The #66 LeithCars.com Toyota Camry pays tribute to a local NASCAR Grand National driver from Henderson, N.C. who competed in NASCAR’s Cup Series from 1964 to 1966, including races at the now historic Occoneechee Speedway near Hillsborough.